Nirala is one of the topmost real estate groups in Delhi NCR. It has been completed number of residential, commercial, studio apartments, and office space. Its aim is to build a world class real estate develop company that having a quality material and great customer services In India, Nirala group is founded by Mr. Rakesh Mahajan and If Thikhar Ahmad in 1996. Nirala Splendora is a place where you can live with your family in natural environment and traffic free zone. This is a high rise residential project in Noida Extension. It would be present a various type of floor plans, Lush green area, eco-friendly atmosphere and specifications. Nirala is the combination of the both luxury and comfort. You can easily get all these facilities at Pocket-friendly price. Nirala Splendora is the finest mega-housing project of Nirala World designed to suit the taste of the modern lifestyle lovers. Situated in Sector 2, Noida Extension it offers you the sumptuous, well-crafted 2 BHK and 3 BHK apartments with plenty space and modern lifestyle living. All those dreamt to experience a worldly lifestyle experience in Delhi NCR region should choose this magnificent high-rise residential development from Nirala Group. Promising sector-2 location is another big advantage for homebuyers which is witnessing speedy growth in Greater Noida region. Well-developed infrastructure, prominent residential hub, superfast connectivity, close proximity to Formula 1 circuit, the presence of knowledge park and office complexes makes it a valuable place. After its establishment in 1996 Nirala Group grows significantly in the real estate development sector and created his own brand image for buyers and investors. With two business arms, Nirala India and Norala World group have total 08 projects in its kitty. 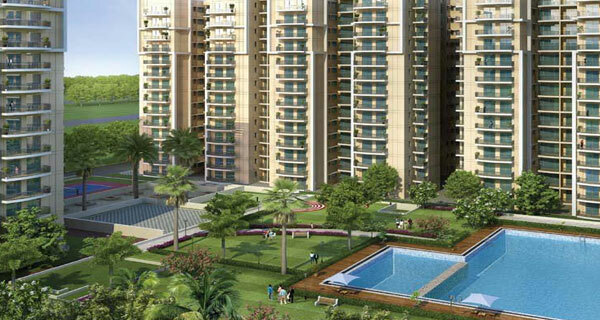 Nirala Aspire, Nirala Greenshire, Nirala Aspire 2, Nirala Pan Oasis and Nirala Eden Parks belong to the Nirala India while Nirala Estate, Nirala Splendora, Nirala Estate 2 are Nirala Worlds project. Group knowns for its signature quality residential and commercial developments in the Delhi NCR region. Niralas sheer architectural prowess, innovative approach, superior construction, extraordinary locations, landmark projects offering nonpareil lifestyle is just brilliant. Nirala Splendora is one of the most phenomenal housing projects in the national capital region has an extraordinary design, eco-friendly home-like living, enticing amenities, 80% open green space, strategic sites, and seductive price list. The developer pledged to create affordable homes with plenty of onboard facilities and services that help to fulfill the varietal aspirations of new-age buyers. At Splendora, the spacious 2, 3 BHK apartments, excellent floor plans, exceptionally crafted housing units with 1031 sq ft to 1825 sq ft size range meet the requirement of different buyers. Nirala Splendora boasts a blissful home-like environment, eco-friendly residential units with unique specifications displayed against lush green surrounding. Homes with world-class lifestyle luxuries, unmatched comfort, developed support infrastructure at very reasonable prices produces an irresistible attraction among homebuyers. Nirala Splendora at Noida Extension is strategically placed in the close vicinity of Industrial IT hub, shopping complexes, and office zones. 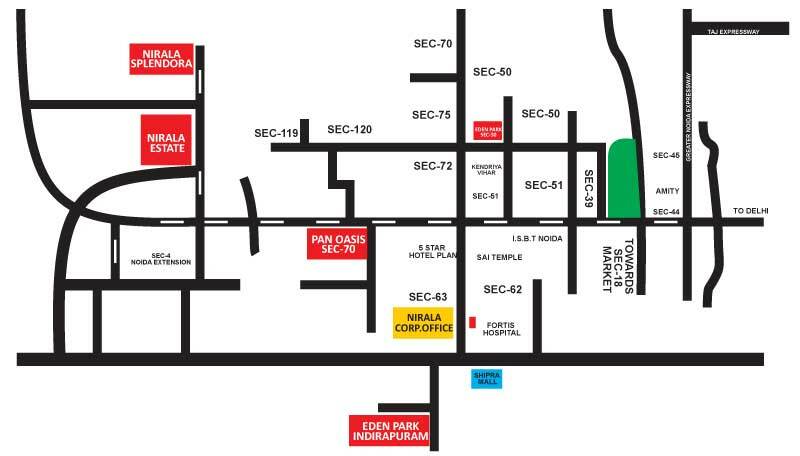 The Sector 2 location offers smooth connectivity to Noida, South Delhi which is a crucial advantage for residents. Here you find an array of worldly amenities like rooftop swimming pool, fully equipped modern gymnasium, kids play area, indoor gaming facilities, jogging track, landscaped gardens, and rainwater harvesting system. In a nutshell, Nirala Splendora is a perfect fusion of quality living and affordability which is a rare combination. Sector 2 Greater Noida West 1825 Sq.ft. Sector 2 Greater Noida West 1525 Sq.ft. Sector 2 Greater Noida West 1425 Sq.ft. Sector 2 Greater Noida West 1135 Sq.ft. Sector 2 Greater Noida West 1031 Sq.ft.